The Movie Total Recall was a tough assignment for the Director Len Wiseman since it was a remake of one of the best films ever made in the last decade and of course you can’t forget Mr. Arnold Schwarzenegger in the movie. Science fiction movies are at peak nowadays and they do a good job on the box office in the 21st Century. The Director of the movie Len Wiseman has done a great job along with Colin Farrell, Jessica Biel, Kate Beckinsale and Bryan Cranston. Len has made many great movies in the past and this could be said as this Total Recall is not all bad, though it’s far from good. Since it’s a remake of an epic movie i.e. 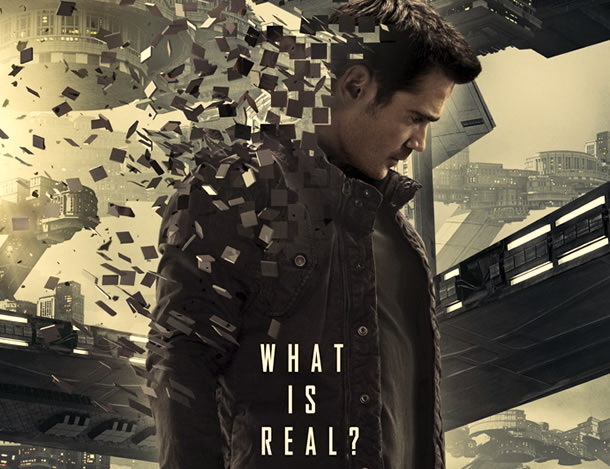 in 1990 Paul Verhoeven had directed the film Total Recall, and although this new remake is less of a mind-bender, it largely benefits from featuring Colin Farrell in the role played by Arnold Schwarzenegger 22 years ago. A factory worker named Douglas Quaid played by Colin Farrell is having a recurring dream about being chased and helping a woman escape and getting shot. He doesn’t know the woman is – it’s not his wife, yet he keeps having this dream over and over again. He tells his wife about it, but, of course, he doesn’t mention this other woman. The world, in which the United Federation of Britain (UFB) is connected to the “Colony,” in other words Australia, by means of a long tunnel of Gravity that enables the colonized worker class to commute to the motherland on the other side of the planet every morning. The Rekall is the main part of the film, Rekall creates memories for its clients. Quaid has an urge to live the life of a secret agent. But then the special ops arrives and spoils the party.This question won’t be answered until halfway through the film, though there is a nagging feeling we are being taken for a ride. Quaid’s wife, Lori, played by Kate Beckinsale, starts to aggressively pursue him once he reveals he has gone to Rekall. The main character of the film that is Farrell’s Quaid, certainly in good physical shape, which thus allows him to be much more quick-footed in the many action scenes. The action sequences are on of the key elements of the movie. Overall the film can be watched only if you were a fan of Arnorld and wanted to know whether the legacy has been carried or not. But apart from that just having fun out for two hours and keeping your mind aside and watching the movie is something that can be done… Overall from my end I would rate this movie 2.5 out of 5 just because of its action sequences.